Plenty of Americans plan on vacationing this year. Travel destinations are typically what top most people's "bucket lists," and they do tend to be more exotic places. Whether it's exploring a region of the U.S. you've never been to before or finally visiting that country you've dreamed about since being a kid, everyone needs to embark on a leisurely voyage once in a while. A recent survey conducted by the Travel Leaders Group set out to find exactly where most Americans consider their top bucket list vacations to be, and why these cities or countries are so sought out. 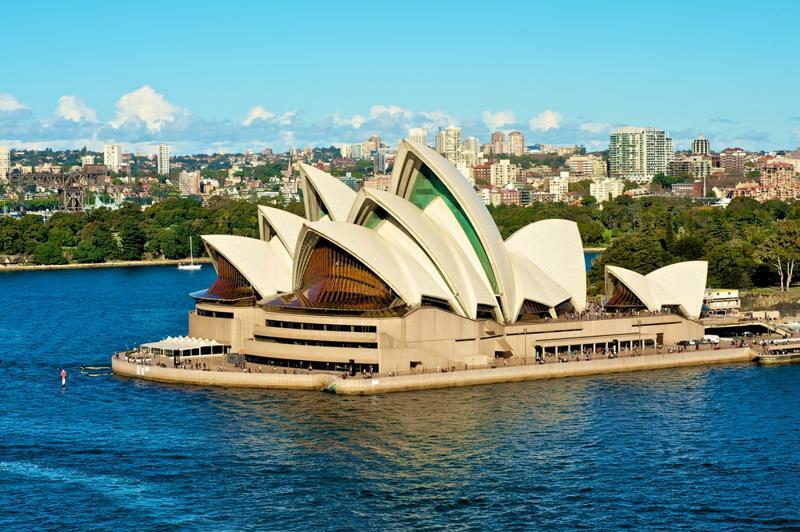 According to the survey produced by the Travel Leaders Group, Americans selected Australia as their No. 1 international choice for a bucket list destination. This isn't necessarily a surprise to the survey organizers, as the country was also chosen as the most desired location to visit in polls taken from 2013, 2011 and 2009. Rounding out the top five bucket list vacations were Italy at No. 2, followed by Ireland, New Zealand and a European cruise. The survey was conducted from April 3 to April 30, 2015, and all in all, there were 3,371 U.S. citizens who participated in the research. Australia regained its status as the No. 1 preferred international destination for Americans. One of the factors the surveyors sought out to learn more about was how the economic impact of the U.S. dollar in foreign countries shaped vacation plans. Recent reports have indicated that the U.S. dollar continues to rise above the rest of the world's more popular currencies, and according to Reuters, the dollar has progressed to an eight-year peak against the yen while the Euro has just hit a one-month low in comparison to the dollar. When asked whether the value of the dollar overseas helps to sway their vacation decisions, the most popular response given by participants was relatively apathetic, with more than 38 percent saying "No, hasn't impacted my decision to travel internationally, but I'll enjoy the savings." The second most provided response was issued by just over 35 percent of participants, stating, "No, I don't plan to travel internationally this year." Just 4 percent specifically state that the value of the dollar would be a heavy influence in their vacation decision-making process, while only two percent more were not even aware of the current strength the U.S. dollar has in the world economy. 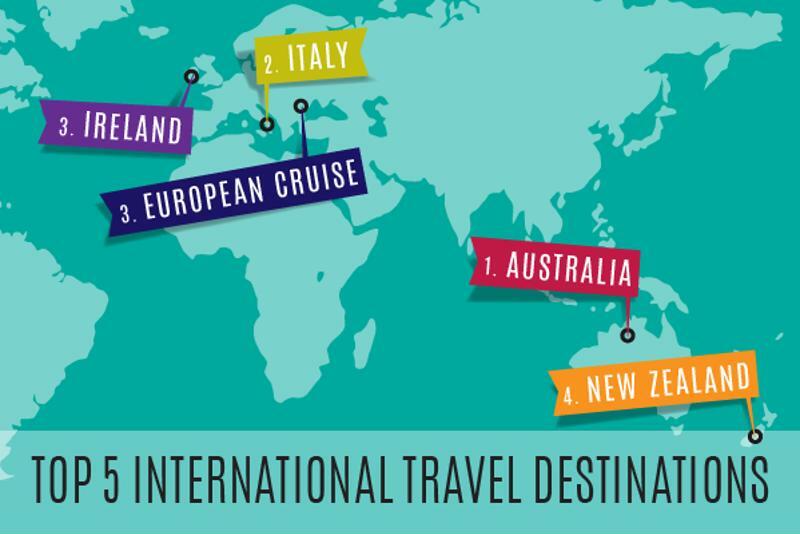 American's chose bucket list destinations from all around the world. As the president lifted certain travel restrictions against visiting Cuba earlier this year, the survey also focused on gauging the interest of U.S. consumers in traveling to Cuba. While the most popular answer provided by 39 percent of participants was "I have no interest in going," the number is a significant decrease compared to 47.6 percent of those surveyed declaring the same answer last year. Considerations for traveling to Cuba have all increased compared to last year's poll results, which signals that Americans are now opening up to the idea of vacationing in the country despite its rocky relationship with the U.S. in the past. Barry Liben, CEO of Travel Leaders Group, elaborated on the growing curiosity American travelers are taking toward visiting Cuba, while many are still taking a more cautious approach when it comes to Cuban vacation plans. "Cuba has frequently been in the headlines as U.S. relations normalize. Our survey demonstrates there are definitely intrepid travelers who can't wait to experience Cuba as it is today, before commercialization and modernization change it dramatically," Liben said in a press release. "For now, over 35% of those polled seem to be taking a 'wait and see' approach. In some respects, that's understandable. Travelers have cultivated their dream wish lists for years and, for most, Cuba wasn't a legal option until very recently." "Ninety-three percent of Americans plan on vacationing in 2015." The survey also helped shed some light on how high of a priority Americans consider vacation travel this year. Out of all of those polled, more than 93 percent indicated that they would take at least one leisure trip in 2015, with 92 percent of those participants saying they would travel at least the same, if not more often this year. Vacationers who intended on embarking on a cruise ship this year were also up in numbers, with 5.7 percent of those polled planning on attending a cruise, compared to 2.8 percent of cruise travelers accounted for from last year. The survey also focused on the proximity of these vacations for U.S. citizens, with just over 70 percent saying that they intended on traveling within the U.S. but further than a bordering state. More than 31 percent stated that they would visit Canada, Mexico and/or the Caribbean in 2015, while 23.5 percent reported they would be traveling internationally to Europe. Liben discussed how these strong numbers indicate that the U.S. and world travel industry will continue to thrive this year, which will in turn provide more strength to the U.S. dollar overseas. "Whether 2015 is the year Americans tackle their bucket list, we do know that 85.2% indicated they will spend the same or more on leisure travel this year," Liben said. "That's a very good indicator of economic confidence. Add to that the relative strength of the U.S. Dollar and we have been advising travelers that if they have the time and means, this is the year to visit Europe." The survey is another reminder of the rapidly growing U.S. travel industry, arriving just days after other reports indicated that 2015 would be a record-breaking year for U.S. airline attendance.